How Do You Stay on Top of Your Game When Times Get Tough? “Show me the money!” A great line for a film, but not a strategy that will motivate salespeople in the long term. Forward Focus>>Ignite Sales>>How Do You Stay on Top of Your Game When Times Get Tough? 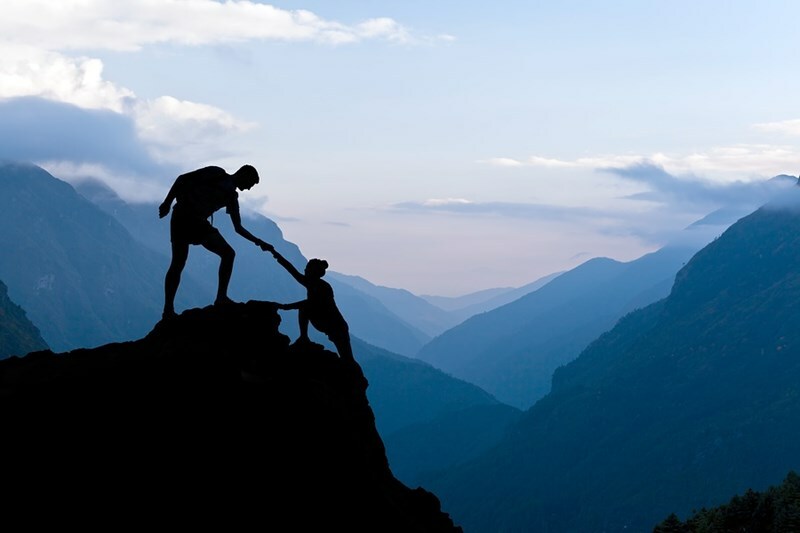 Motivating salespeople – what really works? In their excellent research entitled ‘Motivating Salespeople: What Really Works’, which was published in the Harvard Business Review in 2012, Darden Professor Thomas Steenburgh and University of Houston Professor Michael Ahearne discuss the benefits of dividing salespeople into three categories and incentivizing each using different motivational methods. Much of their work concentrates on financial compensation strategies. While money may be one of the motivators of outstanding performance, basing an entire motivation strategy on financial targets and reward alone negates that different personality types respond to different motivational approches and can also lead to unintended, unwanted consequences. In short, valuing people only financially ignores the basic human needs to be loved and wanted – or, in business terms, to be respected and valued. In this post I’ll briefly outline seven non-financial strategies you could employ when faced with the question of what really works to motivate your salespeople. Use weekly team meetings to publicly celebrate individual and team successes. Highlight what was done right, how results were achieved, and the lessons to be learned. Don’t let the recognition evaporate when the meeting finishes. Let your star be king or queen for a week – no need for them to make the coffees, for example. Post their picture on the noticeboard and outline why they are sales king or queen. Take them out to lunch, or give them an afternoon off. Don’t limit the recognition to only your star performers – incentivize the team by also recognizing core performers and laggards. This helps all to perform at their highest, and retains a natural, competitive atmosphere. Many managers fail to utilize the basic nature of sales when motivating salespeople. What really works is friendly competition. Contests don’t have to be about hitting sales targets and beating the numbers. They can also be used to share best practices, and to engage people during the tough times. Ask yourself, what is your current strategic business objective? Discuss this at team meetings. Create an intranet page devoted to collect and share ideas and successes as the team strives to reach that objective. Dedicate a noticeboard to display latest news and celebrated achievements made, which are specific to the focused goal. Maybe offer a small reward – but make it specific to the person. Offering two tickets to the next Yankees game might not motivate a through-and-through Mets fan. For this type of targeted reward, you have to know your people. In the lean times, fear of failure is magnified. Yet the competitive instinct still exists. Remove the fear of failure by encouraging your risk-takers to be energetic, meeting the challenges and attributes of high-performing teams head on. You’ll find they begin to set their own goals higher. They’ll thrive on a more open and encouraging environment, rather than a closed and fearful one. With a team quota set, work with each individual to set his or her own goals. You’ll need to sit down together, discuss strengths and weaknesses, and develop a plan to achieve individual targets. Let the salesperson decide what is accomplishable and collaborate to create specific targets – perhaps per client, product, or within a certain time. Once this is done, meet regularly to discuss results to date and ways to meet and beat targets. A quick email to say ‘great work’ is all very well, but a handwritten thank you card is more like a trophy. It’s a memento and reminder that will be kept on a desk for weeks after it has been presented. An email tends to get lost and forgotten. You know the challenges that your team faces, and by now you also know individual strengths and weaknesses. Encourage your people to develop by providing focused training and coaching opportunities. Share your favorite books or podcasts. Help your people develop emotional intelligence and avoid common pitfalls in sales. Build this developmental approach into their individual target setting, letting them see that you are there to help them succeed. Put your salespeople on the inside of business strategy. Have your CEO explain company strategy, goals, and targets. Get them to explain new products and encourage discussion of techniques to penetrate the market with a new product. Sales is a relationship game. It’s about building rapport with the customer, understanding them as a person and a business. It’s about being receptive to needs, and proactive involvement to satisfy those needs. Salespeople motivate customers by knowing their customer and making them know they are respected and valued. Treat your salespeople how you want them to treat your customers. Show them you love them and need them. Money alone can’t do that. Get the emotional mix right, and you’ll be employing strategies that really work to motivate salespeople in all market conditions. Our Integrity Selling Course will help your sales team develop new skills, embed methods of identifying customer needs, and hone them to perfection. The result will be a high-impact sales team on an exponential sales curve. Contact us today to discuss how to propel your sales team to qualified success. Motivating sales people in the constantly changing marketplace requires a more innovative approach, with tactics that inspire and reward individual motivations. Emotionally Intelligent Salespeople Sell More – Period. Numerous studies have shown that salespeople with developed emotional intelligence competencies sell more. We discuss what this really means. In answering the question of how to penetrate the market with a new product, a company would be best served to utilize the full potential of their sales team by engaging them in the creation of a positioning statement , promotion plan, and push strategy. Successful strategizing for new product placement, marketing, and sales engages the dynamic sales team at every stage. How many people will salespeople deal with in the B2B process, and how could organizational buying behaviors influence the behaviors of salespeople? If management are able to spot the tell-tale clues that their sales team needs an emotional intelligence workshop, skills will be learned that will ignite sales. When setting sales targets, clarity is the key factor in avoiding disappointing results. Are your sales stuck in a rut? Using the Congruence Model your salespeople will learn modern techniques of how to improve sales with focused on-site sales training. Tell your story. Put your customer at the heart of it. Connect, and influence the buying decision with a compelling sales narrative.